Everyone has their own recipe for a man cave – a jigger of James Bond, a helping of Hemingway, a splash of sports memorabilia. Whatever your taste, Green Front has the sophisticated ingredients you’ll need to enjoy downtime in your den. You’ll want to make sure relaxation is the spirit. 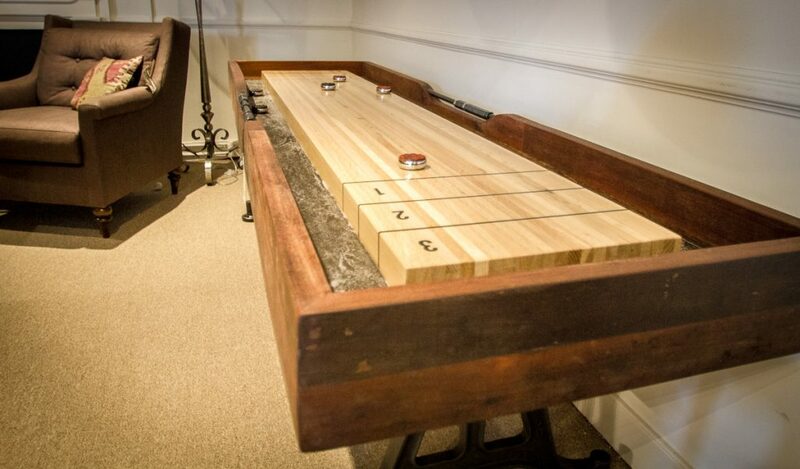 In between watching football games, at-home contests in shuffleboard and ping-pong bring friendly competition (and you can hold a drink in one hand while you do it!) Reclaimed wood and handcrafted game pieces add an artisanal accent to the challenge. Pub culture is a part of the UK lifestyle, and over here its sense of cozy, convivial elbow bending is a great addition to any wall. 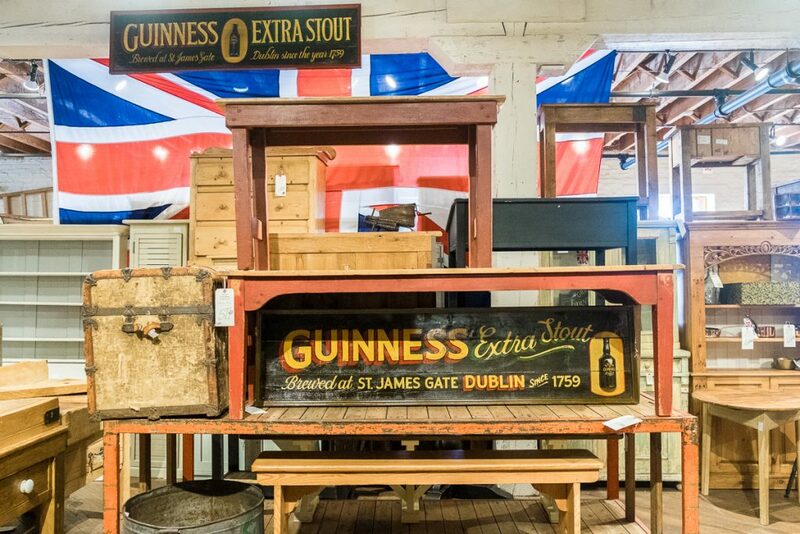 Whether you like a nice smooth Guinness or a frothy ale, you can find a beer sign that matches your preference. Old-world patina and hand-painting add twists of craftiness and engagement. Cave need fire! 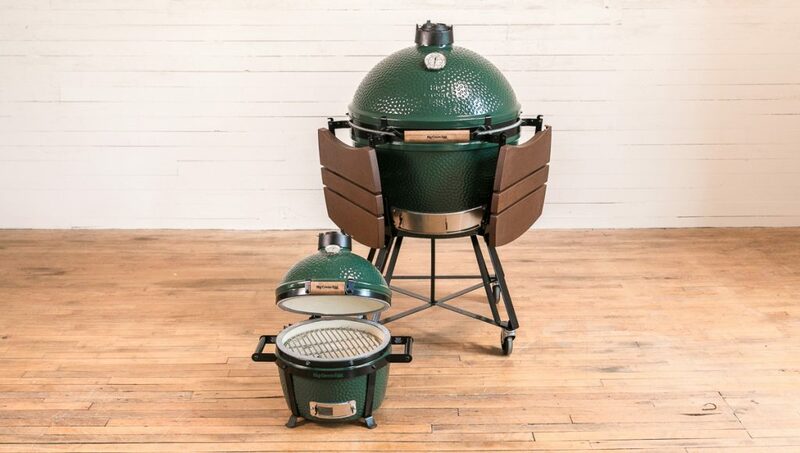 The Big Green Egg company has been making ceramic domed cookers since the ‘70s, employing ceramic material developed by the NASA space program. The juicy deliciousness of domed cooking will entice fellow cave dwellers to spend time in the sunlight, plus the stainless steel and acacia wood surfaces will create an impressive focal point. 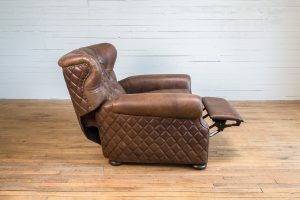 A recliner is the preferred mode of transportation in a man cave. Afternoons were made for sitting back as the game kicks off, but they sometimes lack the desired level of style. That’s why we advocate for unassuming recliners that retain the smartly upholstered look. 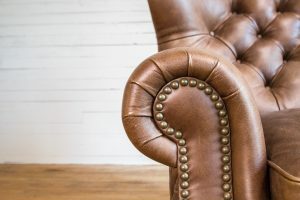 Surprise your guests when your leather chair eases back into reclining comfort. Comfort needn’t come at the expense of style. For a dash of rugged character, genuine cowhide lends a nod to our primal past. 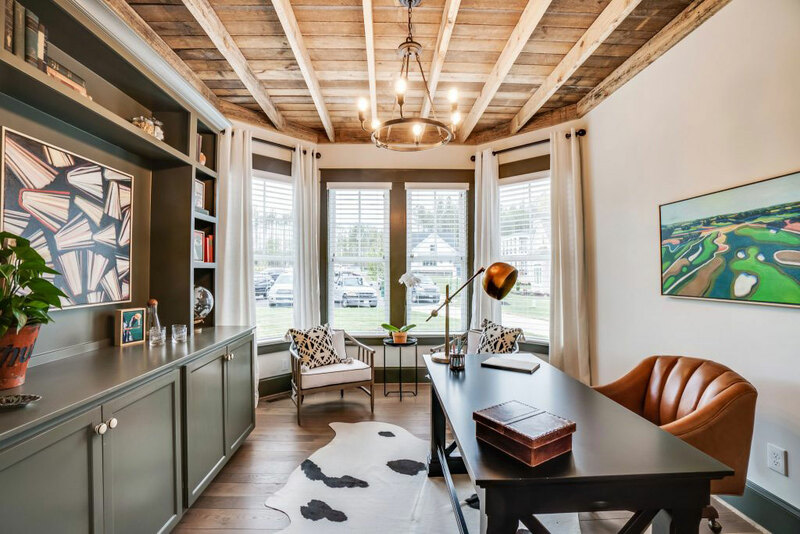 Whether it’s a throw rug, an upholstered couch, or a standout lampshade, cowhide interjects unusual colors and patterns in the mix. Be an expert man cave mixologist! Collect a heady mixture of design elements: from smooth and mellow to high-octane. Whether you’re a world traveler, an athlete, a lover or a fighter, make sure your man cave decor is always refreshing. Please decorate responsibly and explore Green Front’s industrial-style manufacturers! This entry was posted in Latest Trends and tagged Big Green Egg, Hides, pub signs, recliners.